I'm not really the type to apply makeup in public. Once I've left the house, I never re-apply my makeup or rarely even check it. It's only recently that I have started touching up my lipstick now and then but I still hardly even wear that! But there are times where I sometimes catch my reflection in a car window and wish that I had something to correct whatever smudge I have on my face. So I've decided to create my own little emergency makeup bag - which has more tools and handy products than actual makeup. I got this bag from Primark, they actually do have a nice range of makeup bags but I always feel like they're poor quality. However, when I saw this one, I couldn't help but buy it - Look how pretty it is! I was worried that it was going to be a really itchy material that would catch on my clothes and pull on the lining of my bags, but it's actually really soft! It is a bit bulky when it's jam packed with products but I think it is the perfect size for me. It has two compartments which are secured with a nice sturdy zip. I decided to keep all my essentials in the first compartment and then makeup in the second. So, inside the essentials compartment I have the following things. First up is a packet of tissues, it is so typical of me to need a tissue when I don't have one. So this is a huge must for me! 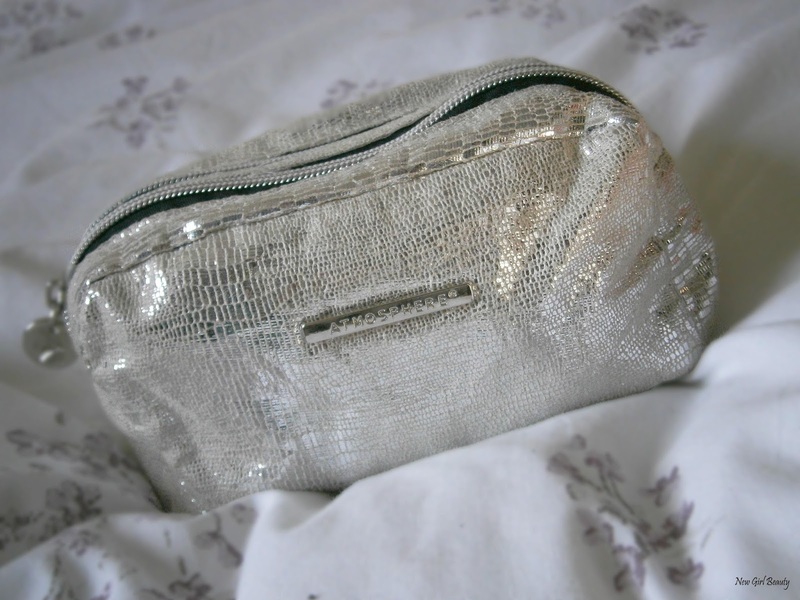 They are always handy and quite frankly, everyone should have a pack in their purse! Another essential is anti bacterial gel, even though I always forget to apply this (I know, it's so bad), you just never know when you're going to need it - like when you accidentally touch gum underneath the table ugh! A handy tool to have is a pocket mirror, mine is from h&m and I think it is around £2.99. It is a bit scuffed from the amount of bags I have chucked it into, but it's always good to have one on hand. Last but not least is a hand cream. Although I usually don't use hand cream, my hands always get a little dry at work - particularly in the colder months. Plus you could use it for dry knees or elbows and pretty much anywhere that gets dry. In the makeup compartment, I keep it simple with a little Powder compact for those days when my face looks quite oily and I keep a basic powder brush in there too - mine is from elf. Then I will keep a small black eyeliner, a basic concealer - latelty I've been carrying around the L'oreal True Match Concealer because it's dinky enough to fit in the bag. Then I keep a nice neutral or subtle pink lip product just incase I have some last minute plans to meet up with some friends after uni or work.